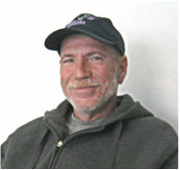 Ken Milliken had been living on the streets for many years when one worried family member found him while doing a Google search; an article in the Moab Times-Independent came up about Moab Solutions' work with the homeless on highway litter cleanups, and Ken was featured in the article along with a photo. At that time, Ken was living safely in an apartment and receiving his earned retirement benefits. But a few year after reconnecting with family down in Tennessee, Ken decided to move there to be closer to his brothers and sisters, his son and his grandson. We still keep in touch. Many of those who struggle with life on the streets can be helped to re-establish healthy lives. Carey Jones has had his ups and downs, alternately living on the street and recovering. He is currently a client of InterAct, and is living in an apartment and doing very well. 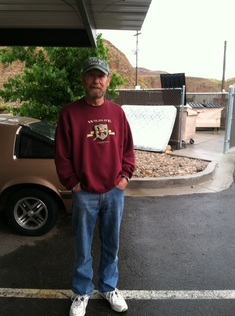 Carey was featured in the "Portrait of Homelessness" series published by the Moab Times-Independent in 2011, and in January 2015, they featured Carey happily settled in his new Aspen Cove apartment. Carey has a full-time job that he loves and is "working the program" to great success! Way to go Mr. Jones! ​May 2017 Update on Mr. Jones: After doing really well for so long, Carey fell back into drinking and is currently homeless again. Our motto, "Giving up is not an option" remains a constant and we stand ready to help should Carey decide to make another change toward sobriety. 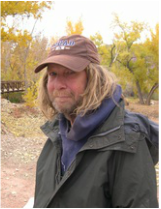 Bob Phillips wrote a heartfelt letter to the editor praising the caring and practical work Sara Melnicoff and Moab Solutions did to get him and his girlfriend off the streets, into an apartment, and back on their feet again. Others cannot adapt to the requirements of re-integrating into society, or breaking free of alcohol and other addictions. These are some people who Moab Solutions has worked with, but who still struggle with life on the streets and in encampments. If you see them, please give them a smile, a hello, or an encouraging word. Dan R. lives in a trailer and is still battling alcoholism. Bob was out on the streets for years but is now in an apartment with his girlfriend. Congrats Bob! Kim "Dewey" Hill, 1952-2012, a great singer and storyteller, he is missed by many. Unfortunately, being homeless can take the ultimate toll. For some, the ravages of alcohol and drugs, poor weather conditions and sanitation, and inadequate nutrition and medical care prove insurmountable. Here we pay tribute to some of our departed friends. 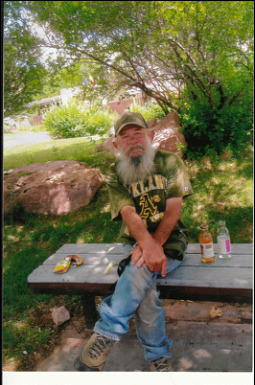 "Hitchhiker John" Golembeski passed in August of 2013 and "Big Ed" Brady in July of 2011. See this letter short piece in the Times-Independent about Hitchhiker John. 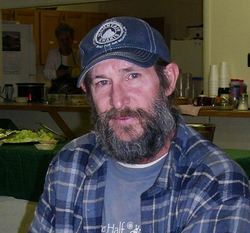 Henderson John was found dead in his camp in September 2014. He had participated in a number of camp cleanups and litter cleanups with Sara. Bill Thompson, a few months before he passed, with Sara Melnicoff at a community dinner. Bill Thompson is the first man we sent to rehab. While he eventually beat the streets, he ultimately succumbed to liver cancer. 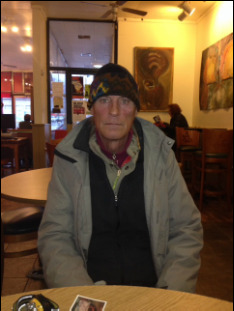 Click here to read more about Bill, and to view the first two segments in a three-part documentary about his journey out of homelessness and his reunion with his estranged family. Dani Miller was an extremely energetic woman. She lived on the streets, on and off, for most of her recent life. She did lots of cleanup and yard work for Moab Solutions and really got into recycling. 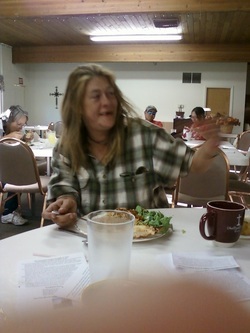 ​When she moved over to Cortez, CO, she would call us once in awhile to let us know how she was doing and to tell us that she was recycling everything she could over there, and doing cleanups in the parks! We want to reach all women like Dani and try to help them get on their feet and into a happy life. Read this obituary about her that appeared in the Times-Independent. 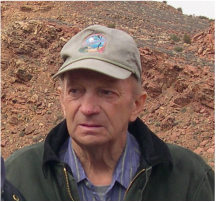 Larry Burton Wright, affectionately known as "The Hobbit", passed away in the early evening hours of July 26, 2016 in Price, Utah, the place of his birth. Larry was well known and liked by many Moabites. He often sat on the bench near the Ore Car entrance to the Parkway and visited with community members as they passed by him. We took care of him for years, making sure he took his anti-seizure medications properly, washing him and his clothing from time to time, and getting him good healthy food to eat. 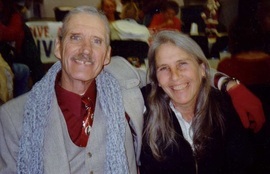 Larry suffered from dementia and seizure disorder. When he developed a heart condition in late 2013, he was placed in a nursing home in Price. It is our hope at Moab Solutions that through our ongoing work, this gallery can be kept to a minimum.